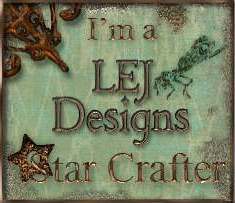 This is a beautiful digistamp from Delicious Doodles. She is coloured with Promarkers and Spectrum Noirs in the colours of the Berkeley Hunt, local to me. The papers are from an American Crafts digikit called Hello Sunshine. Don’t forget to enter your card into the challenge at The Cheerful Stamp pad. 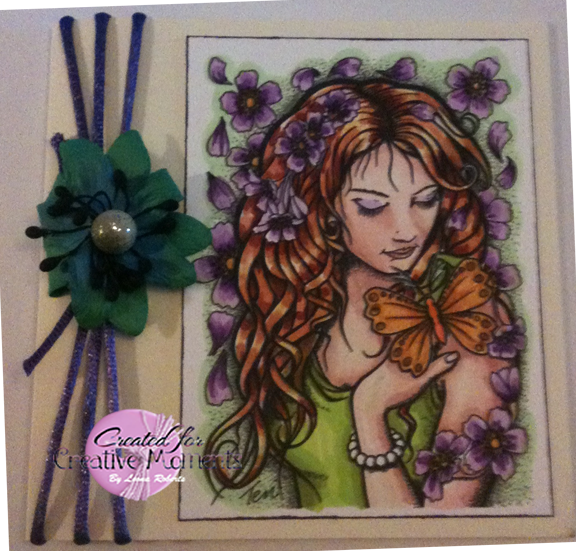 I have used a digistamp called Blossom for today’s card. It is available from Delicious Doodles. The grass withers, the flower fades, But the word of our God stands forever. – See more at: http://bible.knowing-jesus.com/topics/Flowers#sthash.kdcn5NUH.dpufSee! The winter is past; the rains are over and gone. 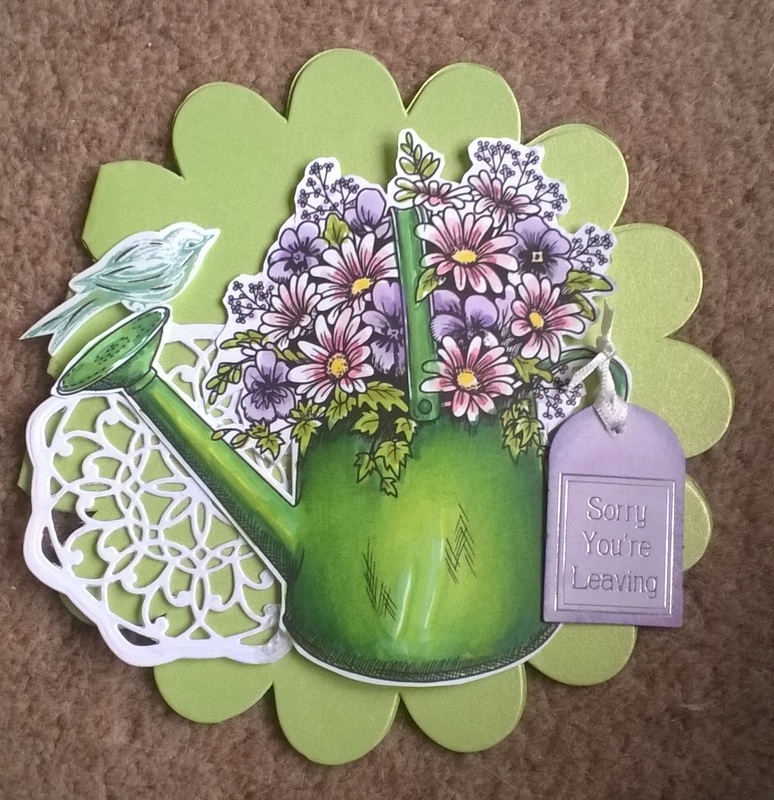 This watering can – from Delicious Doodles – card for Creative Fingers Challenge this week. 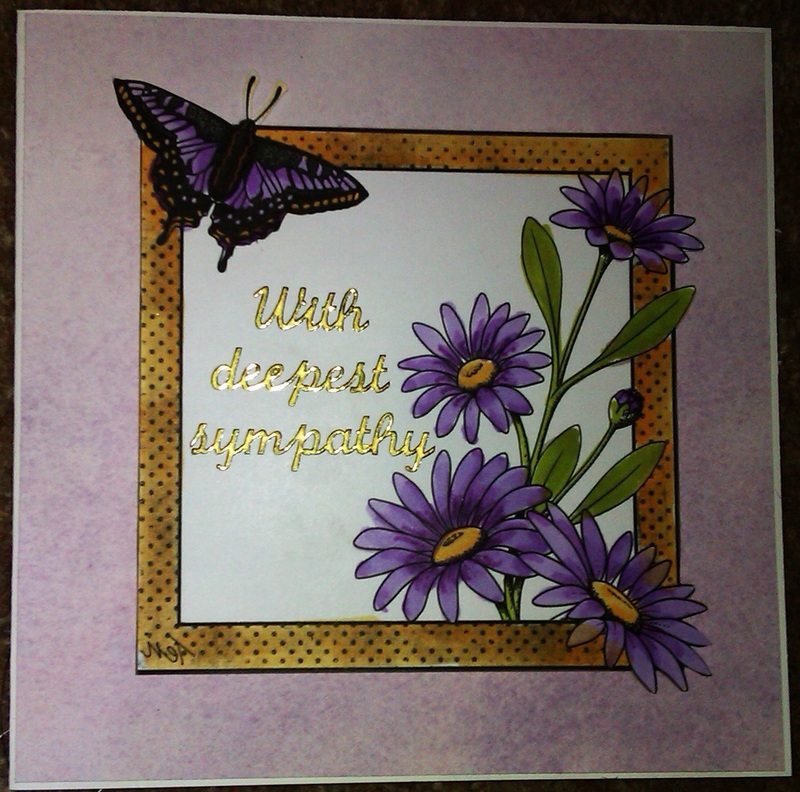 The sentiment is from Hunkydory and was white, but inked using distress inks. The the bird is also from a hunkydory kit. Don’t forget to enter your Delicious Doodles creation at Creative Fingers! 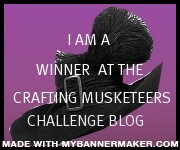 Hello- I’m here to remind you today of the current challenge over at Creative Moments. Our sponsor for this challenge is Delicious Doodles who have provided this fun and super cute digi stamp. 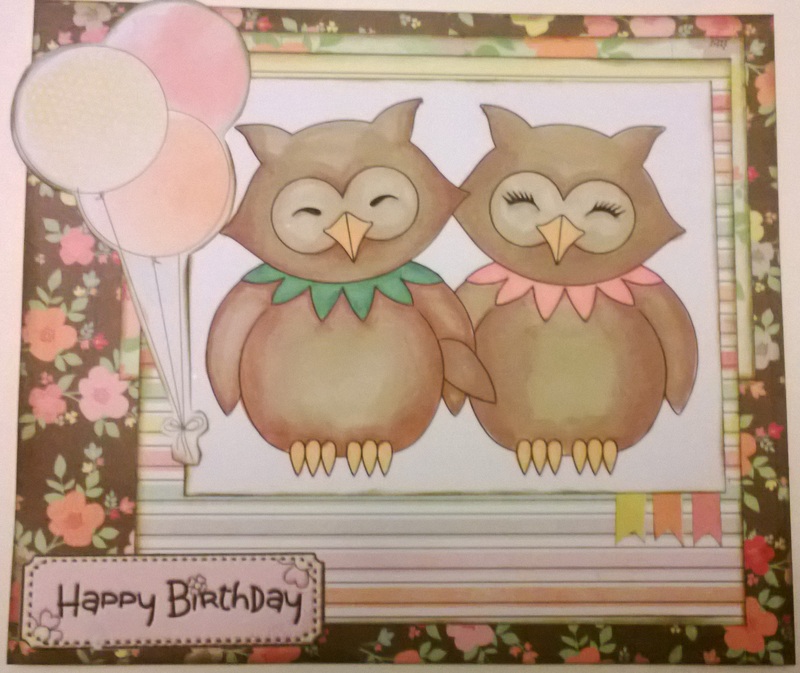 The image was coloured with Promarkers and then assembled into a card using papers from American Crafts’ Neopolitan range. I used a sketch, which I rotated for the card layout. Hi folks, this fortnight’s challenge at Creative Moments is to use the photo and colour pallette below. 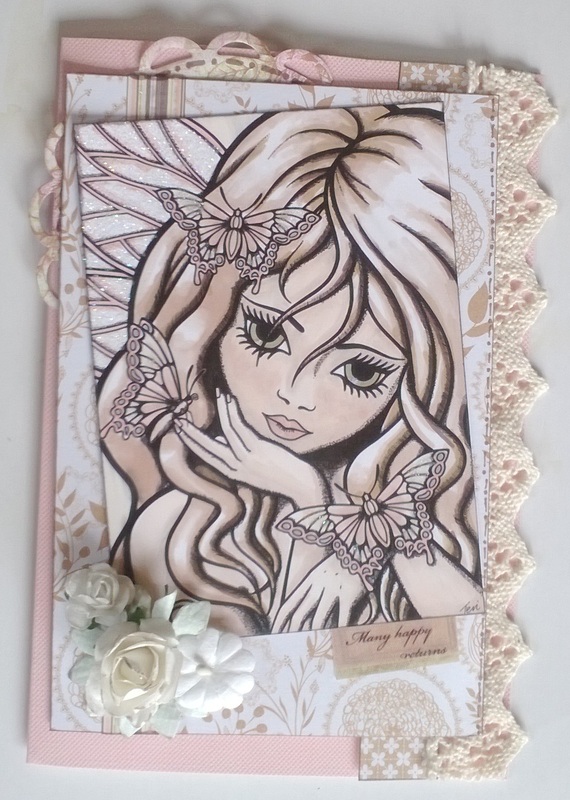 I used Fairy Fae from Delicious Doodles. Back later with another DT post! Here is my first post today. The theme this week at Creative Moments is Circles….but, when our wonderful sponsors provided this image I just couldn’t fit a square into a circle! The Digi is By Delicious Doodles and is called Daisy and Butterfly. I have coloured the daisies as Cape Daisies – native to South Africa but growig healthily in my garden. In my second post today you’ll see a card that I have made with the circle theme, so please take a look later. You can enter you circle themed ard here at the Creative Moments Challenge Blog. 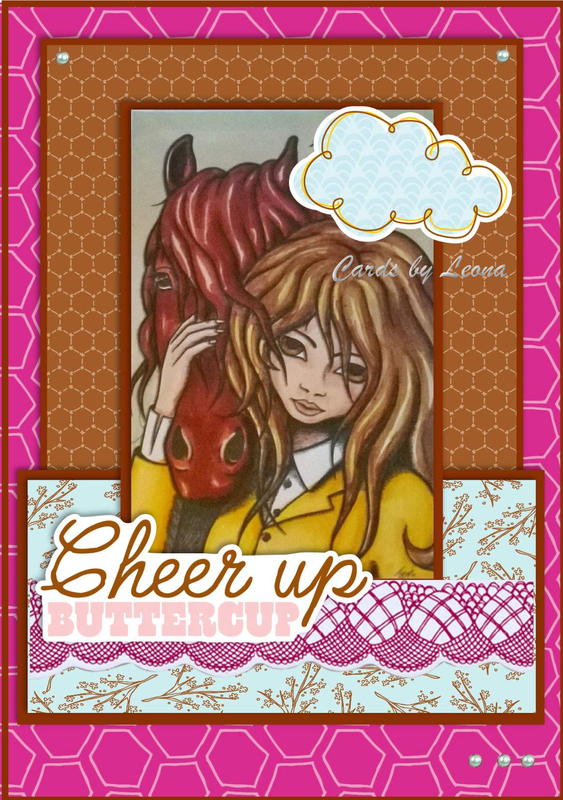 Thanks for checking in at Cards by Leona!